Fit within the hour 8-week plan is a plan based around those that struggle to get structure, therefore we have devised the perfect plan to increase muscular strength, endurance, vo2 max and shred some unwanted weight. The plan is perfect to fit around your lifestyle choices, working all hours and most importantly family commitments. This 8-week plan is broken down and consists of roughly 5 and a half hours training weekly. The aim of this session is to open the legs up without testing and feeling lethargic. Ride for 60 mins steady endurance. The plan here is to test the body to see how we have adapted off previous training, and set new zones we aim to test every 6-8 weeks. 20min watt bike 20 min test! Including how to calculate your threshold value of the 20 min test. This is a really good short but sweet workout to simulate bunch racing. There's no "recovery" so try to catch your breath whilst getting back to an average of zone 3 as quickly as you can after the anaerobic effort. 6x 1 minute repetitions at 110+ rpm with 5 minute recoveries. Aim to stay seated and in zone 2. Control your upper body to prevent bouncing out of the saddle. Finish off the ride with Z2 for approximately 1-1.25 hour's riding. Warm-Up: 15 minute warmup with one 3-minute effort at 100% of your FTP watts to shock the system and prepare you for the next hour. Ride easy for 5 minutes and then begin your main set of work. Main Set: Nail it at 88-95% of FTP for 30 minutes, with 10 bursts (one every 3 minutes!) to 150% of your FTP, holding for 10 seconds and then returning back to 88-95%. After completing the hour, ride easy for 10 minutes at less than 56% of your FTP. Warm up for 20 min first 5 min keep it light @ z2 then gradually raising your power to upper zone 4 up to the 15 min point, then slowly spin at a fast cadence of over 95rpm for the remaining 5 min at z2 pace. Main set 2x20s of criss-cross intervals. 10 min recovery in-between low resistance approx. (56%FTP) fast cadence. Cool down 95 rpm for 20 min @ (40%FTP). Anyone can ride a bike, attend a sportive or go on a local club ride, but being competitive is only for those who are committed, and intend to give 100% to achieve their success. Before you decide to conquer the world, you must first take on yourself which is where we come in. 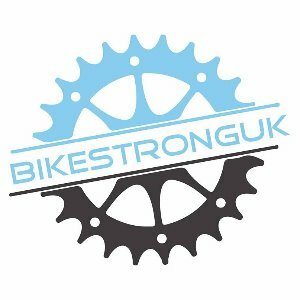 BikeStrongUK provides individualised specific personal programmes for cyclists of all disciplines.